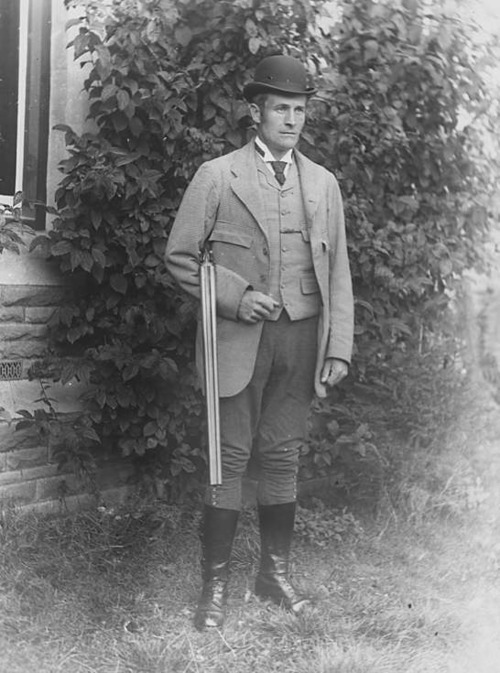 The position of a gamekeeper in England is a curious one. Admittedly he is among the most skilled and highly trained workers of the The country-side. His intimate knowledge of wild life commands respect. Often he is much more than a careful and successful preserver of game—a thoroughly good sportsman, a fine shot. His work carries heavy responsibility; as whether a large expenditure on a shooting property brings good returns—and on him depends the pleasure of many a sporting party. On large estates he is an important personage—important to the estate owner, to the hunt, to the farm bailiff, and to a host of satellites. His value is proved by the many important side-issues of his work—dog-breeding and dog-breaking, or the breaking of young gentlemen to gun work. Yet, in spite of the honourable and onerous nature of his calling, he is paid in cash about the same wage as a ploughman. The actual wages of a first-class gamekeeper may be no more than a pound a week. A system has sprung up by which he receives, in addition to wages, many recompenses in kind, while his slender pay is fortified by the tips of the sportsman to whom he ministers. This system has bred in him a kind of obsequiousness—he is dependent to a great extent on charity. With a liberal employer he may be well off, and all manner of good things may come his way; but with a mean employer the perquisites of his position may be few and far between. At the best, he may live in a comfortable cottage, rent free. His coal is supplied to him without cost, and wood from the estate. Milk is drawn freely from the farm—or he may have free pasturage for a cow of his own. A new suit of clothes is presented to him each year. He may keep pigs for his own use, usually at his own expense, but this is a small item, and even here he may be helped out by a surplus of pig-food from the kitchen of the house or from the farms. He has a fair chance to make money by dog-breeding and exhibiting. Then there is vermin and rabbit money which he earns as extra pay, and useful sums may flow into his pocket from the hunt funds.